For the second consecutive day, Jordanians took to the streets near the Fourth Circle in Amman to demand that the government scraps the new Income Tax Bill (ITB) and cybercrime laws, brings back subsidies on staple pitta bread and releases speech detainees. On Friday evening, November 30, protesters gathered near Jordan Hospital to call for their rights, after security forces cordoned off the streets to prevent them from reaching the Fourth Circle, where the Prime Ministry is located. 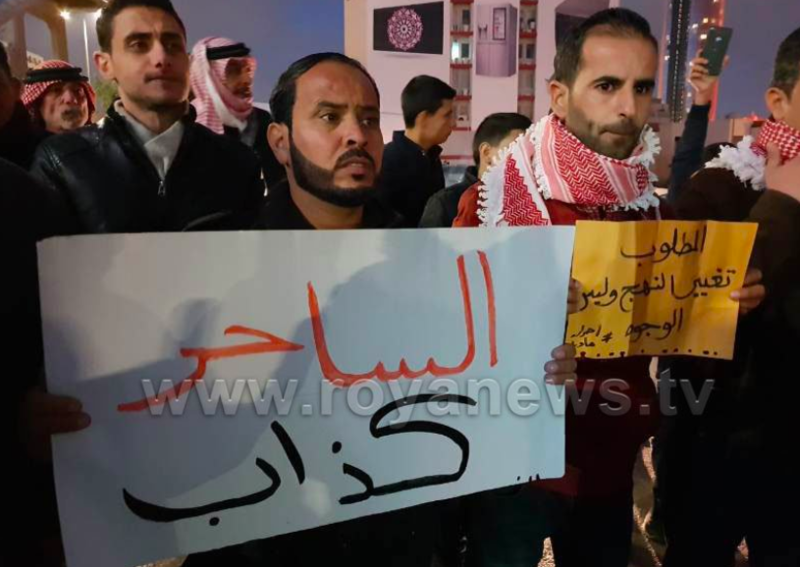 The protesters denounced the policies of Prime Minister Omar al-Razzaz and his government, and condemned Jordanian political parties for not showing their faces and support at the protests.